I ran into an interesting macOS error while working with a customer a couple of weeks ago. I didn't find a lot of good search results addressing the issue, so I decided to write up a post about it myself. Reboot your Mac if you haven't already tried that. Apparently there is an issue sometimes after opening too many dmg files, that is fixed with a reboot. Open Terminal: In Spotlight, the search magnifying glass at the upper right corner of your screen, search for Terminal, and press enter to open the Terminal app. Type hdiutil attach -verbose into the terminal. Add a space at the end, but don't press enter yet. Drag the dmg file from your Finder window onto the Terminal window and let go. This will fill in the location of the dmg file into your Terminal window. macOS Sierra (10.12) and earlier is not able to mount the new Apple File System (APFS). So if you ran hdiutil and see references to Apple_APFS, the issue is likely legitimate incompatibility, and this disk image won't open on this Mac without an update to the operating system. Think about if you have any kind of security policies on this machine to prevent writing to external drives (thumb drives, optical drives, etc). I haven't seen this one in action, but I read about this being a possibility while researching the issue. Another suggestion added by a reader (thank you, Markus!) is that filesystem errors on your main Mac drive could be the cause of the disk image mounting errors. Here are instructions from Apple for scanning and repairing errors using Disk Utility. Note that in order to scan and repair errors on your main Macintosh HD drive, you'll need to reboot your Mac into recovery mode. You'll want to choose Disk Utility in the ulilities listed in the recovery mode menu. Had the same problems mounting .dmg files. I was helped by a repair of the filesystem with the "Disk Utility" in "Recovery Mode". Maybe you also have a corrupt filesystem - just check it with "Disk Utility". Thanks for the great additional tip! I want to make sure I clarify and got it right before I update the post with the additional thing to try. You rebooted in to recovery mode (probably Command + R at startup) and then checked your main Mac hard drive with Disk Utility? sorry for the late reply - yes, this is correct! I tried what you said and nothing happened but can you try installing fortnite on yours and tell me how to do it. 2012 macbook air also i tried downloading it on browser because i didnt know how to download it on a software? Browser should be fine. If you click the Apple menu in the upper left corner, then About this Mac, it will tell you what version of macOS/Mac OS X is on the mac. Can you tell me what version number that says? That is the computer model, but we're interested in the version of the software operating system, to make sure it's compatible with the DMG. What does it say next to "Version"? I included a picture to help you find where it should be. Perfect :) that shouldn't be the problem then either! I just downloaded the same DMG and have the same checksums, etc as you, so the download should be ok too. 2. Reboot the Mac (Apple menu > Restart) and try to open the DMG again? I get "hdiutil: attach failed - no mountable file systems" when trying to install ubuntu operating system on my mac OS (mojave) partiioned with windows OS. Is there any way to fix this problem ? Are you able to paste the output from hdiutil attach -verbose? Also, is it a publicly available DMG that can be downloaded to test on my end (if so do you have the link)? For sure, I would try downloading the DMG again with curl and rebooting your Mac, before we dig in to deeper measures. Hi, I'm getting a "no mountable file systems" every time I try to install steam on my computer. I have tryed everything. Please help me. I checked the latest steam dmg and it mounts ok on my High Sierra machine. The partitions are HFS, so it should be ok even on older macOS versions. A few "silly" things to try, just in case it's a simple corrupt dmg or system reboot kind of problem: Try downloading it on the terminal with curl as described in the post, as well as rebooting your mac. Are you willing to post the output from hdiutil attach -verbose? Also, is it a publicly available DMG that can be downloaded to test on my end, or one of your own? CRawDiskImage: data fork length 0x0000000004392041 (70852673) not a multiple of 512. Error 0 (Undefined error: 0). 2018-11-06 20:43:48.890 diskimages-helper[13087:44281] DIHelperHDID serveImage: set cache enabled=TRUE returned SUCCESS. 2018-11-06 20:43:48.890 diskimages-helper[13087:44281] DIHelperHDID serveImage: set on IO thread=TRUE returned SUCCESS. 2018-11-06 20:43:48.984 diskimages-helper[13087:44278] -remountReturningDictionary: detaching because no mountable filesystems. Error 112 (no mountable file systems). Sadly, all I've been able to find in my research about this specific form of failure is to try rebooting and try redownloading the DMG. The places where I've seen the error, the person reports that it was transient and the DMG worked fine later. What can I do? it has my entire backup. 1) Add a space after attach before the dmg file name. 2) Instead of typing the DMG filename, try dragging the DMG file to the terminal window. That will fill in the DMG filename, making sure the spaces are done correctly, just in case. Can you paste the entire output from hdiutil, as well as let me know what version macOS you're running? Those two lines aren't enough to know. Or alternatively if you see "disk image (Apple_APFS : a number)" and you're on macOS 10.12 or earlier, the issue is that APFS is only usable in High Sierra and later versions of macOS. Also, if you prefer, you can send us an email through here https://deciphertools.com/s... and we can take this discussion to email. CRawDiskImage: data fork length 0x0000009313F0881E (631694723102) not a multiple of 512. 2018-11-06 07:56:02.816 diskimages-helper[34556:967961] DIHelperHDID serveImage: set cache enabled=TRUE returned SUCCESS. 2018-11-06 07:56:02.816 diskimages-helper[34556:967961] DIHelperHDID serveImage: set on IO thread=TRUE returned SUCCESS. 2018-11-06 07:56:03.906 diskimages-helper[34556:967749] _postflightMountPointsAfterDAMount: disk4 aborting because no mount point found. 2018-11-06 07:56:03.907 diskimages-helper[34556:967749] _postflightMountPointsAfterDAMount: disk4s1 aborting because no mount point found. 2018-11-06 07:56:03.907 diskimages-helper[34556:967749] _postflightMountPointsAfterDAMount: disk4s2 aborting because no mount point found. 2018-11-06 07:56:03.907 diskimages-helper[34556:967749] _postflightMountPointsAfterDAMount: disk4s3 aborting because no mount point found. 2018-11-06 07:56:03.908 diskimages-helper[34556:967749] allowMountReturningDictionary: detaching because no mountable filesystems. Hi Kelly could you please send me the answer for this particular case? Cuz I'm having problem exactly the same as his, all steps and messages. 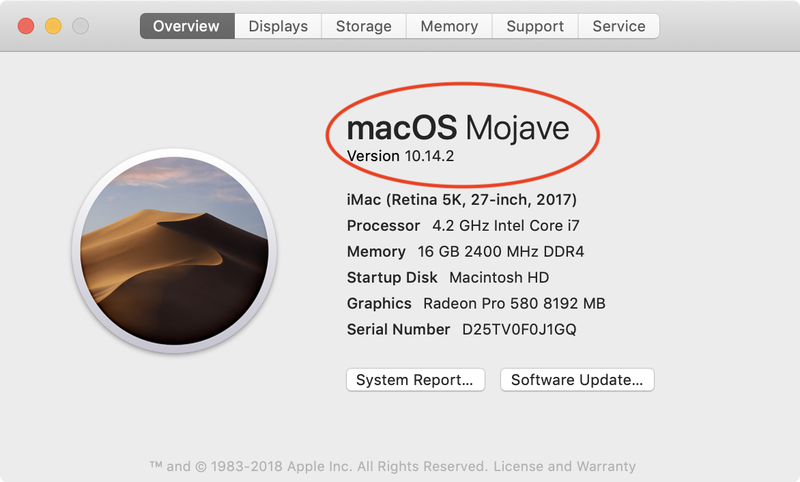 MacOS Mojave too and Early 2016 Macbook. This is what hditutil says for me (for the latest version of VirtualBox, but I encountered the same problem for other images). It doesn't look like an APFS problem? Any idea what it could be? Thank you. CRawDiskImage: data fork length 0x0000000005B34543 (95634755) not a multiple of 512. 2018-10-24 12:28:30.419 diskimages-helper[92430:2447233] DIHelperHDID serveImage: set cache enabled=TRUE returned SUCCESS. 2018-10-24 12:28:30.420 diskimages-helper[92430:2447233] DIHelperHDID serveImage: set on IO thread=TRUE returned SUCCESS. 2018-10-24 12:28:30.766 diskimages-helper[92430:2447229] -remountReturningDictionary: detaching because no mountable filesystems. What version of macOS are you running? I can try it on my end assuming I have a similar machine to do it on. My High Sierra machine mounts it ok. It doesn't look like an APFS problem (and it's not an APFS dmg). Also if you didn't try rebooting yet, I'd try that now. Hi Kelly, macOS 10.10.5. Yes, I tried rebooting. What's frustrating is that it used to work just fine.. Anyway, don't worry about it, I was just wondering if it was something obvious. Thank you for taking the time to have a look and to answer me. I'm getting a "no mountable file systems" message for the wxHexEditor install image. 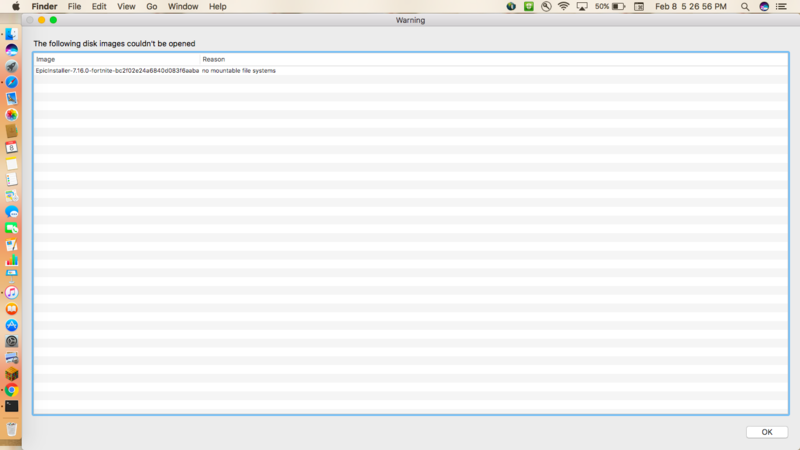 It's an open source utility, downloadable from sourceforge @ https://sourceforge.net/pro.... The hdiutil output, showing the included disk image to be apple_apfs, is below. i've tried on both os x 10.8.5 and El capitan > get the same error to mount. How should I proceed? Thanks for the reference to the DMG. Unfortunately, since this DMG uses APFS, it's only compatible with macOS 10.13 (High Sierra) or later. The error message is the same as if the DMG was broken, but in this case means hdiutil can see the partitions and everything looks ok, but macOS 10.12 and earlier isn't actually able to mount/use APFS partitions. So sadly, the only way to proceed is to open the DMG on High Sierra or higher. This could be because you're running an older version of MacOS. I got this when trying to install MachOExplorer  on my main computer which still runs El Capitan. Then I tried on my side computer which is updated to High Sierra. The disk image opened fine. Looking the output of the mount command, it turned out that the disk image contained an APFS partition which is not supported by El Capitan. I got error form suggestion 3. If it's a DMG that is publicly available, can you send us an email via our support form and let us know where we can download it to see if it's a damaged DMG? Also, what version of macOS are you running? , what can I do for solve it? If suggestion #1 and #2 from the article didn't help fix the error, can you comment or email us https://deciphertools.com/s... with what you see in the terminal when you try suggestion #3? I was able to resolve this problem by opening up my macOS Security & Privacy settings, navigating to General, and then clicking Allow on the app developer that was being blocked. Hope this helps! That's interesting - I haven't seen this specific error from the disk image signing before, so that is a good new tip to check! Thank you for letting us know! Thank you! This method worked for me!